Article publié le Thursday 22 December 2016. 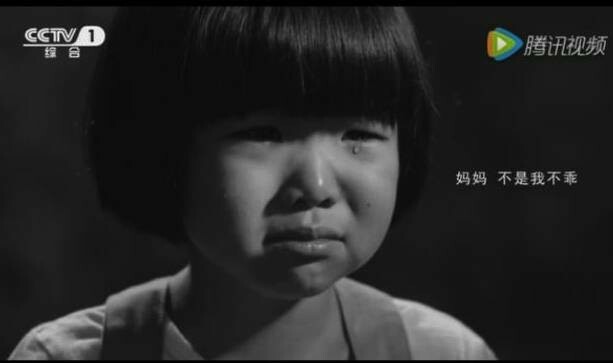 In a public announcement, China’s state-run television CCTV has a simple message to parents: children are not miniatures of adults when it comes to taking medication. The video, however, fails to point out the root cause behind the problem. The three-minute video consists of five-year-old deaf girl named Fu Xinuo making hand signs into the camera, with subtitles in Chinese. At the beginning of the video, the happy-looking Fu says that her parents told her that she could start calling them “mom” and “dad” when she was one year old, and she would “jump up and down” when hearing music. Then, Fu begins to tear up slowly as she gestures how her hearing slowly deteriorated because of improper medication for a fever three years ago. “Mom, I am afraid, I am afraid to play with other children,” read the subtitles. “Children are not miniature version of you. Children need medication for children,” the video states. The video ends with two additional children, a five-year-old girl and a six-year-old boy, appearing before the camera. Both died because of improper medication. There was an overwhelming support and sympathy for Fu on Sina Weibo, China’s popular microblogging site. Some netizens decided to share that they had a similar story. Stories like those of Fu and other deaf children in China are not simply because parents are ignorant and give their children adult medication, thinking that they are “miniature versions” of themselves. In reality, the root cause behind the over 30,000 child victims is twofold-the overuse of antibiotics inside China and a lack of government support to provide better medication for children. A report by Chinese news portal Tencent in January 2015 revealed a darker reality: over 300,000 children under the age of seven have become deaf because of improper use of antibiotics. While the number accounted for 30 to 40 percent of all deaf and mute children in China, the percentage was less than 1 percent in developed countries. Compounding the problem of improper use of antibiotics is the fact that China does not have any law, regulation, or a monitoring mechanism overseeing medication specifically for children, according to Tencent. The result of such lack of support from the Chinese authorities is that doctors prescribe adult medicines to children. “When pediatricians prescribe drugs, they are always not at ease. It is hard to ensure safety for children taking adult medicine. There is a high probably of allergic reactions,” said Chen Yunbin, director of pediatrics division at Guangdong Medical Doctor Association, reported Sina in 2012. Chen was referring to the shortage of available medication for children in China. According to a report by Chinese news portal NetEase, an investigation by Beijing Children’s Hospital revealed that of the 6,020 different medicines available to treat children, only 45 of them were drugs specifically for children. An investigation by the Chinese Pharmaceutical Association showed that 70 percent of students at schools for the deaf and mute in Beijing, Shanghai, and Chongqing were victims of improper medical care when they were little, reported Chinanews.com in June 2013.